Internationally known artist Tim Harding makes large-scale textiles out of colorful Chinese silks and other vibrant materials. Harding's work can be found around the world in museums and private collections, including the Smithsonian-Renwick Gallery, Washington DC, Cooper-Hewitt Museum, New York, Boston Museum of Art, Racine Museum of Art, and the San Francisco Museum of Art. Tim Harding resides in Minnesota where he has maintained a studio for over 30 years. 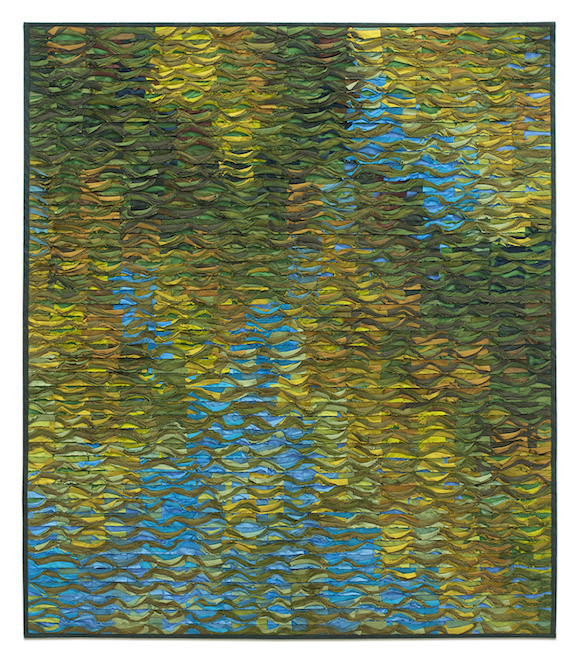 "After working in painting and photography in college, I became intrigued with the intimacy of fiber/textiles; their textural, tactile richness, the pliable plane, the inherent grid of the weave, as well as the complex cultural roles of this medium. There is a culturally ingrained preciousness to fabric. We must not tear, scorch or soil our 'good' clothes. And yet these textiles have a tempting vulnerability. My work is based on the act of violating this taboo. I use a unique, self-developed physical technique (a complex, free-reverse appliqué) which makes use of the intrinsic properties of my materials while creating an interesting interplay of surface and structure.